I had the pleasure of taking a 2-day comic book making workshop with Scott McCloud a couple months ago. I was interested in the process of storyboarding and ‘choosing moments’ as Scott so eloquently puts it. 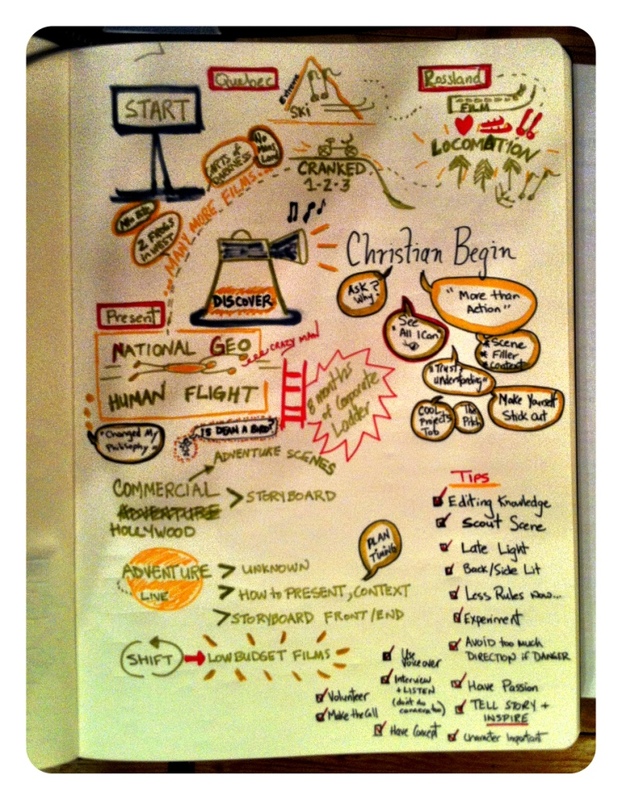 I think this will be usefulf for graphic facilitation, strategic planning and general communications. This article links the process of using comics to innovation. After 2 days of listening, learning and drawing with Scott McCloud and others – I am more convinced than ever that the mix of visual and texts engages people in ways that words alone cannot. Recently I had the pleasure of speaking on a panel at the 5th Building Sustainable Communities conference that reflected back on Rio (1992) and looked ahead to Rio+20 in terms of sustainability. Given I am usually making presentations for others or coaching clients on messages for their presentations, I was excited to write my own talk. Sustainability is at the core of my work in terms of the ultimate impact I hope to achieve. However, my day to day reality often manifests as bringing people and their institutions together. The main message of my 10 minutes was that collaboration (the power with) is a key ingredient to address the sustainability challenges ahead. The slides are posted on slideshare. I decided to use a mix of hand-drawn images (via my iPad) and photos from real places where I shared field experiences from Guyana, Senegal and British Columbia. I received great feedback after the session on the visuals and the stories I shared (thanks to those who shared your thoughts, always appreciated!). Some of the tactics I used included starting with a personal story, asking compelling questions, simplified design with hand-drawn images, and aiming to inspire others to make the changes I believe are necessary. What are you currently working on that could be enhanced by collaborating with others? Where could you achieve more if the scale at which you work was enlarged? Where can you achieve more together than alone? Discover Your Passion was one of the messages Christian Begin shared with a small yet captivated audience at Rossland Mountain Filmfest’s Journey of An Adverture Filmmaker. Christian gave an animated account of his career from starting out in Quebec, then Rossland and on to the world stage of filmmaking with a recent dream accomplished by completing a film for National Geographic. There were plenty of good tips and stories shared. The best part, as always, was the inspiration gained from those who follow their passions and realize their dreams. Thank you to Christian for sharing your story with Rosslanders today and feeding our inspiration! Thank you to KAST for supporting the workshop. 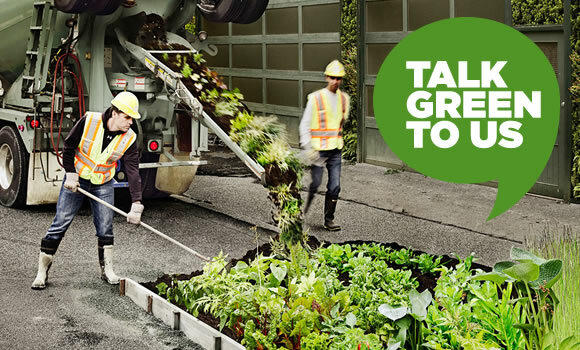 City of Vancouver is starting a conversation on sustainability, this is from their website. Last night, the City of Vancouver launched a conversation on sustainability with an evening of PechaKucha. This is a group- chit-chat on a design topic where people have 20 seconds for 20 slides over the course of six and half minutes. I wasn’t sure what to expect in the 2000+ packed theatre but it was indeed an evening of inspiring stories and thought. In terms of a process for engagement the room was too big for group interaction so conversations are expected to happen on line after the event. However, I do think (and have heard) that in smaller settings, this can be a great format for stimulating real time innovations. In a venue where interaction could take place, the presenters could share their greatness, stimulate people to act, AND ALSO seek feedback on their projects, figure out new ways forward together and hence collaborate and group-think on the future of design and ideas throughout the evening. This could also be a useful format in the workplace for stimulating new design theories or generating new projects. Donors could use the method to get ideas around project funding. It could also be a great way for staff to report out on what is happening around a company in different divisions. The qualifier is that people need to put effort and thought into their presentations to ensure they are interesting and snappy. The presenters with the most impact last night told stories, built up their messaging, and included simple concepts with repetition. I really liked those that helped us imagine the future (rather than only think about the past/present) and provided a place for us, the audience, to imagine ourselves in that new future. These are worthwhile tips for anyone that goes out to present ideas to an audience. Thanks to the hosts and presenters for a very interesting evening! A colleague sent this YouTube clip to me. It helps explain what BP is actually doing in terms of addressing the catastrophe in the Gulf of Mexico. It is very funny! It also uses simple metaphors to get its message across. Telling stories and using metaphors are underutilized, yet extremely helpful in communicating messages. If BP has any chance of saving its reputation, they need to create their own metaphors and a very convincing counter-story.